The 11th hole is a dogleg right that requires you to hit your tee shot from an elevated tee box across a road below to an uphill fairway. Depending on your length, a well placed long iron to a 3-wood to the left side of the fairway is the smart play. 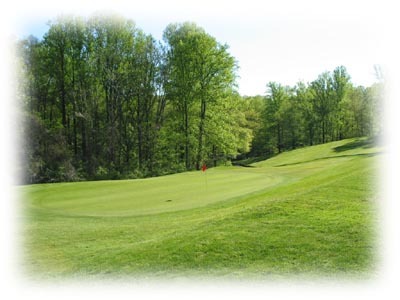 Your second shot is to a long flat green with a large hill to the left and a steep collection area to the right. Par is a good score.